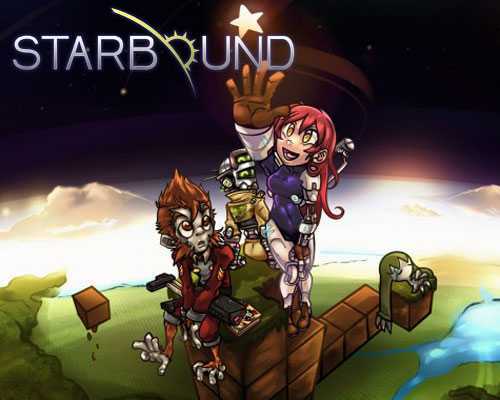 Starbound is an Action, Adventure and RPG game for PC published by Chucklefish in 2013. Explore the unlimited environments on space. You’re a character whose spaceship has got damaged. If you want to continue traveling, It’s necessary to gather equipment to rebuild the spaceship. As you’re gathering items for it, You can also roam freely on the planet that you’re stocked. Each planet includes hundreds of randomly-generated environments which can be really exciting. The players can collect thousands of items from these planets. There is a detailed crafting system that can be used to customize your character and items. Some special items can be crafted by the collected tools at this part. You will never get bored of crafting new things. Because it has somehow unlimited items. If it’s hard to go on adventures alone at Starbound, You can enter a crew. This option is in both offline mode and online mode. If you get the original version of this game, You can make a crew with the real players. But if you don’t, It’s possible to make it with the unreal characters in Starbound. Do you like to earn more scores at this Indie game? The battles are waiting for you! You can get a weapon from the store to fight the enemy characters like monsters. This masterpiece has got more than fifty thousands reviews on Steam! Its average rating is 9/10 based on these reviews! Starbound gives you an unlimited experience of adventuring with amazing gameplay! 125 Comments ON " Starbound PC Game Free Download "
Yo dawg, just run as administrator! Will i’m kinda new to this so its kinda a dumb idea to run a random download for a game as admin, it could allow the download to add a virus or malware to the computer or platform you are using. It says that the d3dx9_43.dll is missing what do i do? Download and Install Directx 9.0c. “Your not the best at english” Yeah and neither are you. If the compressed file is a .rar file, open with winrar, if it is .zip, just open. If that doesn’t work just google the .dll name + download and do so. how do i get the file code? ‘MSVCP150.dll’ is missing from your computer. What do I do guys?! Go to Steam and buy it. That’s the only way to update. And it had a ton of different lines full of code, I reinstalled the game many times and installed both 32x and 64x. What is going on? How do you use administrator mode? ‘MSVCP150.dll’ is missing from your computer. I got this error what do I do? i can’t launch it it says “GetTickCount64” why ? The password IS the link……..
the program cant start because api-ms-win-crt-runtime-|1-1-0.dll is missing from your computer. How to fix this ????? The application was unable to start correctly [0x0000013].Click OK to close the application. Is it possible for multiplayer? Downloaded everything, The game doesnt even open. I ran ad admin, nothing. I dont even get and error message. Straight up nothing happens when I try to play. Is this compatible with multiplayer? https://www.freegamesdl.net is the password nubs, it says so at the top..
how do you get in administrator mode? So let me be straight- to those who have downloaded this, does it work? And is this a virus, malware, etc or not? Is this a virus or not? what is password for game ? did this download take a long time for anyone? is this multiplayer?if it is, can you play with your friend in lan? It’s a malware! Do not run! it tells ,,The program cant start cuz zlib1.dll is missing from your pc.”What i do?? Guys, i really like your site and what you are doing for us. But you got to do something about your downloading speed. i used to get around 100 Mbps but on your site its less than 1 Mbps. At leasts yours downoal. Mine is so slow the device just says “unsuccessful”. Then I have to resume the download, which takes forever. And so on…. Can we install mods in this Starbound ? I tried but it doesn’t work, Strabound crashes. If it was a scam and these comments were fake then id hope that they make better fake comments than half the people saying the password doesn’t work. And it does work btw! people are just autistic. THIS S ELEGAL DONT DO THIS JUST DONT. SAVE THE $14 BUCKS AND JUST PAY FOR IT ON STEAM OR ON ANY OTHER ONLINE SHOPS THAT STARBOUND SELL IT ON! It lags a lot.I have enough requirements (Windows 64bits). 32bits doesn’t work either. what can i do when it vibrating, butonli just the bottom of the game? New update is out, will you release it?